We act AS IF we desire to connect. Our efforts draw OM, and we begin to feel that we are one system. In this system, the Creator gradually reveals Himself. And we discover that we are a living organism of the Creator. We are parts of the common soul that He fulfills. Even if the new information is correct, and it was indeed a Jewish woman who turned in #AnneFrank and her family, we must not judge people who are under such enormous pressure. In the last few days, new knowledge of the identity of the person who betrayed Anne’s family to the Nazis has been revealed. A new book titled The Backyard of the Secret Annex alleges that a Dutch-Jewish collaborator Ans van Dijk reported their hiding place …. There’s no sense in taming #emotions. All negative emotions must be balanced with positive ones and then you’ll feel comfortable. When positive and negative emotions work toward an exalted goal, they form an ideal complement, necessitating one another and thus we come to #perfection. Are set for the creation. To make it to the meeting place? The perceived world is our rational #knowledge. The world governing us is above our perception. #Suffering forces us to enter into a new system of governance. By entering it, we build it—and we call it the upper world, Creator. Question: They say that when the body dies, the spirit leaves it. What is it that actually leaves the body? Answer: In Kabbalah, the term “body” means desire. When the Light leaves this desire, it dies. In other words, it becomes a desire that is only seeking to receive. This is called a dead desire or dead body. In principle, the kind of death that you are talking about does not exist. Question: Where are the uncorrected souls of people after death? Answer: They always exist within the desire which acquired a similar quality to them. After the death of the body, we begin to sense our larger spiritual, soulful state. Not because the body dies, but because a certain egoistic desire disappears. Question: A person can die a natural death or be killed, drowned, or burned. Does the method of death impact his soul at the moment of death? Answer: No, because he had no soul! Before a person has the desire for the upper world, he is only involved with advancement on the level of this world. That’s why it’s worthwhile to begin your spiritual advancement as quickly as possible. 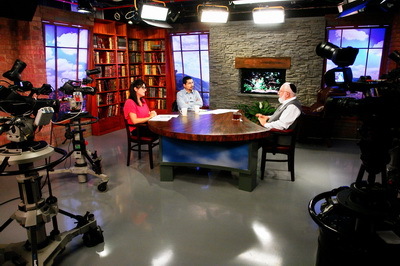 Question: What are the three basic laws of the methodology of Kabbalah? Answer: The first postulate is that there is a single upper force of nature, called “the Creator” or “Nature.” We ascribe no special properties to it other than it being one common force that includes absolutely everything existing in creation. Similar to how the Creator has His freedom of action, there is an opportunity to act independently when a person rises above his nature and can act above his own nature. The third postulate is that as a result of special actions and exercises, everyone can reach equivalence of form with the Creator in a way that we will have the freedom to act similarly to the Creator. Question: How can you convince a person who categorically disagrees with you? Why don’t we feel the thoughts and feelings of other people through written messages? What is the algorithm of actions, thoughts, and desires? Answer: If someone sends me something, he must very clearly imagine how I will consider his message in the way that is necessary for my egoistic existence. Question: Does this mean that I always need to imagine the other and by imagining him, his way of thinking, to choose the words? Answer: Yes. As far as by these words I am awakening the desire in him to adapt the message for his own benefit. That is, when I am sending the message, I need to imagine the interlocuter, his benefit, and adapt myself to him. Question: How can you resolve a situation of conflict, when one agrees and the other does not? How do you resolve conflicts as a Kabbalist? Answer: I do not resolve them. I embrace conflicts because eventually they advance me to the goal. I am grateful to all my opponents because thanks to them, I advance to the goal faster. I do not need to satisfy or cajole them. No way! On the contrary, when they “poke” me that way, although it affects me very little, I am extremely grateful to them because then I begin to think: why, what for, how should I react correctly, why this was sent to me? Everything a person experiences was sent to him by the Creator. All the puppets, dolls, that exist around me are just conductors of His message to me. Therefore, I appreciate them very much: for any message—good or bad. Moreover, I am happier with the bad since they leave a deeper impression in me, and in that way, I correct myself faster, more vigorously. There is nothing else in a person’s life and in the world but to connect everything that happens to him with the Creator. The fact that it seems to him that whatever happens comes from other people, from natural phenomena, or from anything else, is just a cover in which the Creator dresses until a person is ready for direct connection with Him. Therefore, I look at life very positively. For me, a bad person can be more desirable than a good one. Any conflict is beneficial. We always need to turn to the Creator who is behind both a person and the conflict and understand that whatever you do, feel, or decide is also the Creator, because He stands behind you too. With every level of the still, vegetative, animate and speaking, the desire to receive becomes greater and the power of clarification becomes greater. Therefore, developed people find themselves in disputes. A person is even in dispute with himself. That is how they develop. Disputes among the people of Israel are necessary for their spiritual development. 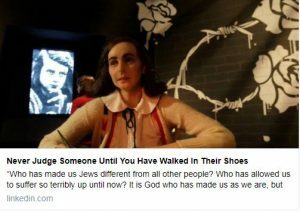 The higher power that developed the Jewish people awakened opposing opinions between them so that they would learn to connect above them. The Jews will subsequently discover the truth, which is union above all differences based on the principle “love covers all transgressions.” An argument for the sake of heaven is an argument that moves us toward connection with the Creator and overcomes our egoistic justifications. The Jewish people do not eliminate disputes but learn to ascend to the heavens through them.